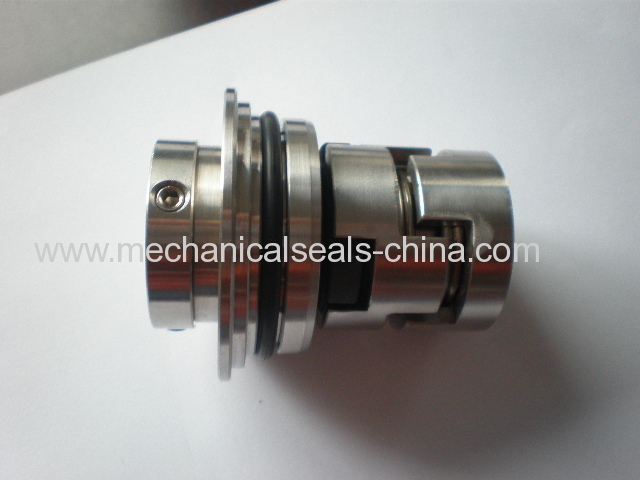 The unbalanced o-ring seal with tungsten carbide seal face was used with success in abrasive liquids. It soon led to the development of seals for other CRN pumps, including the BP DEEP WELL PUMP. cr MULTI-STAGE PUMPS, UPT SINGLE STAGE PUMPS. LM AND LP INLINE PUMPS. The tungsten carbide/tungsten carbide seals faces proved to be very successfull material pairing for cold -water applications. This pairing did not turn out to be a very cuccessfull in hot-water applications on account of very noisy operation. 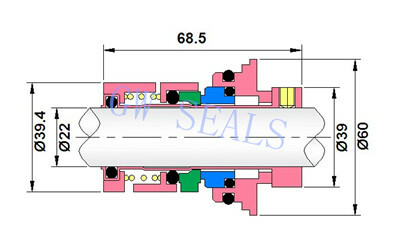 SIC against SIC becomes the common material pairing for cartridge shaft seals. This paring had an excellent abrasive resiistance and good perfomance in hot water . It is also with cheaper price. Replace original CR32.CRN pump seal. 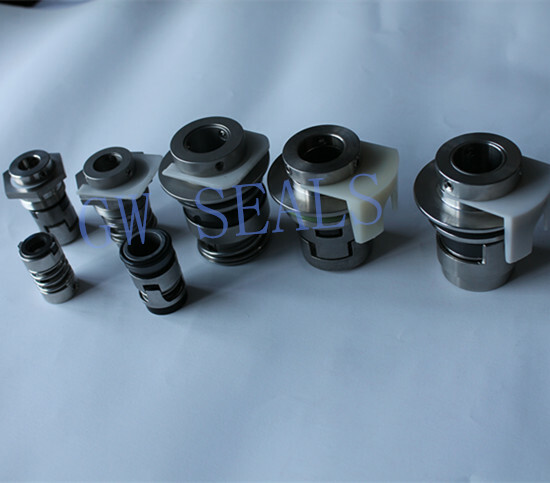 We mainly supply pump mechanical seals, auto cooling pump seals, industrial pump seals, carbon face sela and ceramic face seal, etc. · The length of the contact area of the bellows with the shaft is an optimum compromise between ease of assembly (less friction) sufficient adhesive force for torque transmission. 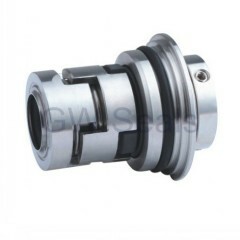 · the seal fulfills very specific leakage requirements.